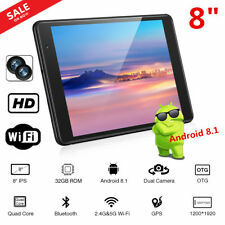 Chuwi Hi9 Pro 8.4" CWI548 4G Phablet Android Tablet - Black. Hi9 Pro utilizes the 2K JDI display with an aspect ratio of 16:10. It’s so comfortable that you could not put it down. Hi9 Pro runs Android Oreo out of the box, it loads the applications twice faster,and the battery life is increased by 30%. Chuwi Hi9 Air. Product Model: CHUWI Hi9 Air 4GB Ram 64GB Rom Dual Sim 4G LTE Tablet. Internal storage: 64GB. Large Capacity. Combination 4GB 64GB. Top speed 2.4G/5G dual-band WiFi supports 802.11 a/b/g/n/ac protocol. 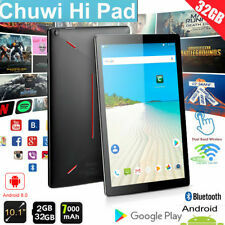 Chuwi Hi10 tablet for sale. Connect the tablet to an HDTV or high-definition monitor to set up two screens side by side or just enlarge pictures. TF Card Expansion. Only One Partition with Microsoft Windows 10 64bit OS Installed. 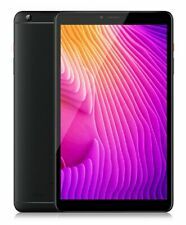 Chuwi Hi8 Pro Specifications. Model – Hi8 Pro. - Includes Bluetooth Keyboard. Tempered Glass Screen protector is already affixed, however this can be removed if you wish. Device Type – High-Performance Tablet. It has 2GB RAM and 32GB ROM storage, and a TF card slot (support up to 128GB expansion). In addition, it is also a great gift for kids. Model: Hi8 SE. 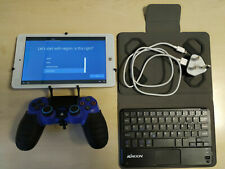 Tablet PC & Accessories. Quad Core and Powerful CPU : Featuring 1.1GHz 64-bit MT8735 VT Cortex-A53 quad-core processor, it improves 20% in performance and reduces 10% in power consumption. It has 2GB RAM and 32GB ROM storage, and a TF card slot (support up to 128GB expansion). In addition, it is also a great gift for kids. Model: Hi8 SE. 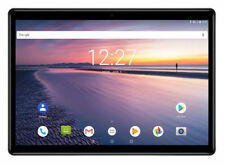 5.99" Xiaomi Mi A2 4G Phablet Android one Octa Core 20MP 4GB 64GB Phone 3010mAh. CHUWI Hi9 Air 10.1'' 4G Tablet PC 8000MAH Android 8.0 2560*1600 IPS 4 64GB EMMC. BRAND NEW BOXED TWO BOXED SEALED AND ONE I OPENED TO TAKE PICTURES. ONE OF THE ITEM THE PACKAGING IS ONLY SLIGHTLY DAMAGED BUT IT DOES NOT AFFECT THE PRODUCT PLEASE LOOK AT PICTURE UK BUYERS ONLY THANK YOU. FREE POSTAGE. It has 2GB RAM and 32GB ROM storage, and a TF card slot (support up to 128GB expansion). In addition, it is also a great gift for kids. Model: Hi8 SE. Tablet PC&TV Box. Quad Core and Powerful CPU : Featuring 1.1GHz 64-bit MT8735 VT Cortex-A53 quad-core processor, it improves 20% in performance and reduces 10% in power consumption. SE LLING FULLY WORKING CHUWI HI12 TABLET. 12.2" 2k (2160x1440 pixels) RESOLUTION TOUCH SCREEN. IS 8TH GENERATION ATOM QUAD CORE, TABLET IS WORKING FINE. HAS ANDROID AND WINDOWS 10 WITH DUAL BOOT FUNCTIONALITY. It has 2GB RAM and 32GB ROM storage, and a TF card slot (support up to 128GB expansion). In addition, it is also a great gift for kids. CPU: MT8735VT Cortex-A53 Quad Core 64-bit 1.1GHz. Model: Hi8 SE. CHUWI Lapbook Air CWI529 Windows10 Intel 8GB+128GB Dual WIFI HDMI Laptop 14.1''. Choose yours now. We design the LapBook Air the way we do with a tablet by adopting the. Windows10 Redstone. M.2 SSD support on LapBook Air is available. The read/write speed is faster, more files storage. (Excellent Deca Core Processor: MT6797 （ X27) 64bit deca core （ A72 2 / 2.6GHz, A53 4 / 1.9GHz A53 4 / 1.4GHz ） CPU and T880 780MHz GPU, beneficial to power consumption optimization, efficiency power consumption distribution is more reasonable and efficient. Model : Hi10 Air. WIFI: 2.4G/ 802.11b/g/n(RTL8723BS). Core : Quad core. Ethernet : RJ45. Storage can be checked in our antutu photos and it's less than specification data. TF Card Extended Storage: up to 128GB(Not Include). It has 2GB RAM and 32GB ROM storage, and a TF card slot (support up to 128GB expansion). In addition, it is also a great gift for kids. Model: Hi8 SE. Easy and Fast Connection : Support 2.4GHz and 5.0GHz dual band Wi-Fi (802.11a / ac / b / g / n), so you can enjoy easy and stable Internet access. Quad Core and Powerful CPU : Featuring 1.1GHz 64-bit MT8735 VT Cortex-A53 quad-core processor, it improves 20% in performance and reduces 10% in power consumption. Better video decoding capability will be good for TV streaming. It has 2GB RAM and 32GB ROM storage, and a TF card slot (support up to 128GB expansion). In addition, it is also a great gift for kids. Easy and Fast Connection : Support 2.4GHz and 5.0GHz dual band Wi-Fi (802.11a / ac / b / g / n), so you can enjoy easy and stable Internet access. It has 2GB RAM and 32GB ROM storage, and a TF card slot (support up to 128GB expansion). In addition, it is also a great gift for kids. Model: Hi8 SE. Unlocked HOMTOM HT70 4G Smartphone 6.0" Android 7.0 Octa Core 4GB 64GB 10000mAh. Model Number: Hipad. 3GB DDR3 RAM 32GB eMMC ROM 1200 1920 HD 2.4G / 5G Dual WiFi. 3GB DDR3 RAM, 32GB EMMC 5.1 ROM super-capacity storage for multitasking and up to 128G TF card (not included) for easy expansion.